What does it really mean to be there for someone? Is your life the outcome of who you are or the choices you make? How far would you go for someone you love? These, amongst others, are questions addressed by author Paritosh Uttam in his debut novel Dreams in Prussian Blue, a part of the ‘Metro Reads’ series of books launched by Penguin India earlier this year. We spoke to the author about the book, and the virtues and pitfalls of an artistic temperament. 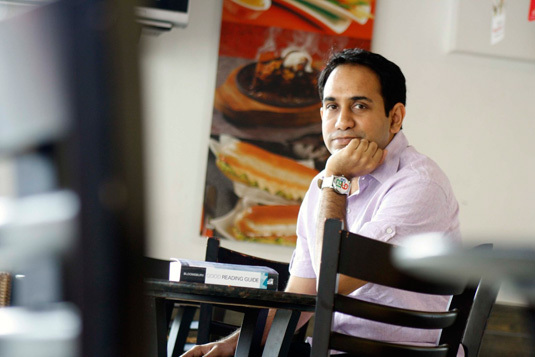 Read on for excerpts from the interview. 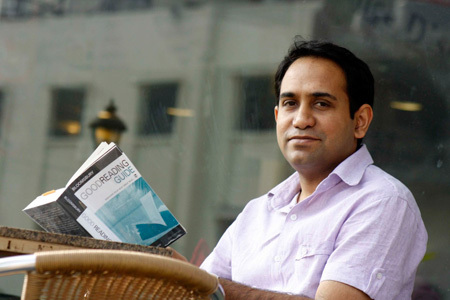 Paritosh Uttam: Writer and software engineer. What has life been like after the release of Dreams in Prussian Blue? Has there been a drastic change in your daily routine after the book’s release? It isn’t as if I have won the Booker and am being mobbed in the streets! There has not been a drastic change in my daily routine, but there have been some subtle changes, more internal than external. One is the confidence I have gained by getting published, more so with a reputed name like Penguin. Earlier, I used to introduce myself as a software engineer and an aspiring writer (the second part mumbled, under my breath). Now I say it loud and clear than I am a software engineer and a writer. Gradually, I hope that will become a writer and a software engineer (mumble, mumble). The second change as a result of the confidence is that since I know I can get published now, I have become more disciplined in my writing routine. I know now that what I write will see the light of day some time and won’t go in vain. That is a great morale booster and helps me keep plugging away at my writing. Now, I am on the lookout for reviews or feedback from readers I have not met. 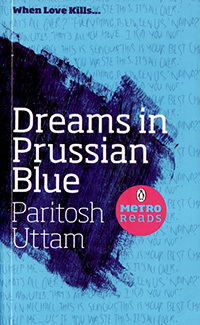 Dreams in Prussian Blue book cover; courtesy of Penguin Books India. The book is your first published novel. Is it also your first attempt at a novel? How long did it take you to finish it? It is my first published novel but not the first I have written. In fact this came about because I was pitching the first one to Penguin, and through that I could come in contact with my editor, who was more impressed by a short story on my web site, which I developed into Dreams in Prussian Blue. The first draft took about six months, then a few months of waiting and doing nothing and fearing the worst (a big publishing house has its own schedule), and then the editing phase which took another three months. The release of a book is a funny thing. It’s not one moment that you can pinpoint, but a period of time over which it is spread. I knew the book was out and there were pre-release promotional articles in the papers. The first time I saw the actual published book was when I got my author copies, but for me the real release was when I set my eyes upon the book sitting in the “New Arrivals” shelf in Crossword. That for me was the moment — at last. I didn’t pop any champagne, but all the congratulations from my friends and family were as good as any celebration. The book addresses a lot of issues that young adults must learn to deal with — love, friendship, grief, betrayal, jealousy, desperation, choices (and the lack thereof), and what it really means to be there for someone. 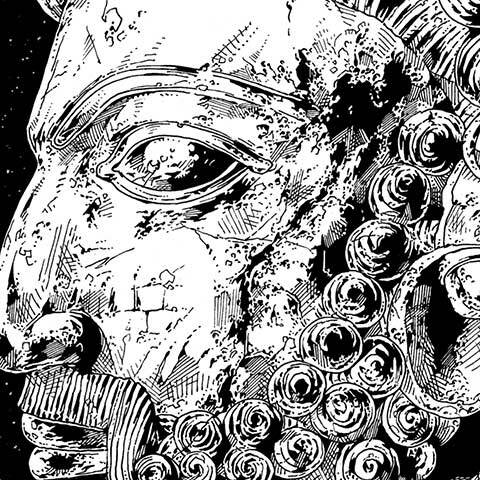 Were there certain events in your life that inspired the story? Not really; this story is pure fiction. As I mentioned earlier, I developed this novel from a short story I had already written. Since this book was to be a part of the Metro Reads series, it had to deal with young adult issues. So I made the characters in my short story much younger, put them in a live-in relationship instead of a marriage, and so on. I gave them a backstory, and also took it forward, and added more characters and subplots since you have the scope for that in a novel. The other issues of grief and betrayal and other emotions that you mentioned evolved while developing the secondary characters and subplots. Some came out naturally, and some were based on editorial inputs; it was my job to make it all look seamless to the reader. The subconscious guideline I followed was that in real life, there are so many practical factors at work. You cannot be a romantic and expect that the practicalities of life will bypass you. That’s why I weaved in all those emotions. The psychological motivation behind a character’s actions or thoughts should be clear to make it convincing to the reader. What would you say is the timing of the story? Is it set in the late ’90s/early ’00s? The exact timing is not important, but yes, you could say it is around that period. I have not put in any historical marker. You would get a sense of the era from the social milieu and factors at work — how shocking or novel is the concept of a live-in in Mumbai today? But I wouldn’t say the story is dated: I am sure there would be girls sharing Naina’s conservative background event today. Marine Drive is an important location in Dreams in Prussian Blue. Did you spend a lot of time there during your years as a student? Don’t know if this comes as a surprise to you, but I have never lived in Mumbai. Of course, I have been there off and on, but I haven’t spent more than a few days at a stretch there. There were a couple of reasons for choosing Mumbai as the setting of the novel. One is that the setting had to be in a metro (being part of Metro Reads), and that Mumbai has a reputed art scene with plenty of art galleries and exhibitions, which are essential to the story. Marine Drive in particular is an instantly recognisable location throughout the country, being the setting for innumerable Hindi movies. I haven’t spent a lot of time there, but when I was dating a girl from Mumbai years ago, that used to be our rendezvous most of the time (years ago, and now my wife is going to haul me over the coals when she reads this!). I was struck then with the uniqueness of the place: The melancholy sea on one side, the crowds and traffic on the other. And so many people sitting on the sea wall: Loners, couples, gangs of friends, the elderly, each in their own world, and somehow, feeling a sense of privacy amid the crowd. I worked some of those feelings into the novel. A large part of the book deals with the virtues and pitfalls of having an artistic temperament. Have you had to deal with friends who possess some of the qualities associated with the artistic temperament — being aloof, absent-minded, overly idealistic, arrogant, and well, brilliant? As I briefly mentioned earlier, there’s a whole gamut of factors at work in real life. Even if you don’t like some of those factors, you cannot just ignore them. They will affect you whether you want it or not. Michael, in the novel, hates to be bothered about expenses and other mundane stuff; he just wants everything on his table so that he can be free to paint. He doesn’t want to think about what problems Naina might have to face to satisfy his needs. I don’t know personally of a friend who would fall in that category, but I had a professor at I.I.T. whom you could partially describe in that way. You do hear and read about arrogant and selfish geniuses who have ill-treated their close ones. I wouldn’t qualify myself as a genius, but I sure love it when my wife cooks and serves me food, and then doesn’t bother me so that I am free to read and write (smiles). I probably conjured up Michael from these sources. Do you think that a change in physical environment plays a major part in the artistic process? Is it important to have a distinctly separate personal space and a place where you can be creative? I don’t think you need to be up in a hill station in a cottage with a view to be creative. But you have to be in a space that you find comfortable and where you can work uninterrupted at least for the few regular hours you keep aside for that creative activity. And then the demands of different arts are different: For a painter, good lighting is important; for a singer, a noise-free environment is warranted, and so on. It would be difficult to be creative when the personal and creative spaces collide. Are there any places where you feel most comfortable writing or coming up with ideas? Do you write every day? I had a chair and desk to write on and keep my dictionaries and thesauri and other notes on, but I have found that I am better off half-lying in bed and scribbling in a diary. Any room works with me but I need to have silence around me. I can shut out non-intrusive mechanical and rhythmic sounds, but human voices or music disturbs me. I try to be disciplined and write at least 300-400 words every day, maybe a little more on weekends. That is, I have to fill at least one page in my diary. I do this in the mornings before I leave for work. Paritosh Uttam: Dreams in light mauve? Earlier, I tried to put down only my best or polished writing but then found the progress too slow. Now I focus on putting the words down on paper, and to do my editing and polishing in my subsequent drafts. That works because I can see the pages filling up and that gives me confidence. I prefer writing on paper and then typing it again into my laptop. I use a computer all day at work anyway, so I try to avoid using it in my writing as long as I can. Plus I find it easier to strike off and make changes on paper without interrupting my thought process. The drawback is that I have to type it out soon or else I have trouble recognising my own handwriting. Structure-wise, I prefer having a beginning and ending in my mind, and then laying out the middle points. I work with an outline, and break up bigger goals into smaller ones: Chapters into sections, sections into scenes, and so on. That way, I feel I have the story in control and I know where I am going. Along the way, while writing, new ideas do strike and I may modify small pieces, but I would be wary of making wholesale changes. One of the central characters in the book, a skilled young artist, is constantly plagued by the feeling that when he has finished a painting, he hasn’t been able to express himself completely; that there is something lacking in the final artwork. There is a line that stands out: “… only the artist himself knows what he has not been able to say”. This is an insecurity that a lot of artists can relate to. Do you face this yourself with your writing? I hardly know anything about painting or music myself. Whatever I have written about painting and colours in the novel is based on research. But I guess that the basic underlying creative process would be the same, be it painting or music or writing. I believe most writers, except the really great ones, read and appreciate works at a level higher than what they write. I wish I could write like some writer I admire, and I try, but what comes out (and you begin to know it even while writing) is nowhere what you imagined. You know what you wanted to say but couldn’t perhaps because of your limitations or some other reason. So yes, I do feel that way often while writing, and I simply projected those feelings onto Michael. A lot of talented young people face a question posed in the book: Whether to stick to their ideals no matter what, or to make room for compromise and convention. The transition from college to “real life” can be hard. A lot of people take up a full-time job, and try to pursue their passions in whatever free time they have; “dabblers”, as described by one of the characters in the book. Yes, that again comes from my own experience and thoughts. Before I was published, I considered myself a dabbler, but now I can insist that I am not a mere dabbler. It is idealistic to stick to what you believe in and go down the unconventional path, but it requires courage and maturity. It sounds romantic, but you have to be practical. If you have a backup (like parents or partner), then go for it. If not, do your job, and make time for your passion. You don’t have to do a full-time job. It doesn’t have to a zero or one decision. Ensure your financial security and also pursue your passion. If you find that you are meeting success and can do better if you give more time, take the plunge. Or give yourself a fixed time, like two years, to succeed, and if not, you come back to the conventional. My thrust is that you don’t have to be idealistic for the sake of being idealistic. Think it over carefully and practically, and go over all the available options with your wellwishers. My experience is that when you have financial security or backup, you also tend to do better in your other pursuits because you don’t have the fear of failure haunting you. You can afford to be relaxed, and that works out better. Don’t you do better in an exam when you are relaxed than when you are tense? Tell us about your feline friends. Have you had a lot of them over the years? Oh, so many, so many that your magazine will run out of space. I have been told before that I am the quiet sort, and keep to myself, except on the topic of my cats, where I turn garrulous. I have had dozens of cats since my school days. Not the kind that you keep as pets all the time at home, but the freelancer type, who come and go as they please. I like all animals but I like cats more because they have their own personality, their own moods. They have the uncanny ability to pick out the most comfortable spot in the room and make it their own. There was one Saloni, the most intelligent of them, who used to wake me up in the night by gently patting me on the head to indicate to me to open the door so that she could go outside and and not create a mess inside. In contrast, there was another one who used to come running from outside into the house when he wanted to go, because he mistakenly believed the house was the place to do his dirty work in. Yes, I am working on my next novel, but I am afraid it is too early to talk about it. I just about have the outline and the first two or three first-draft chapters. Let it get into some better shape. All I can say is that I believe in writing about some accessible and popular subject, but in my own style.